Do you need a NAATI certified translation in Sunnybank? We are proud to be the original Brisbane translation service providing NAATI certified translations to the residents of Sunnybank, Brisbane. 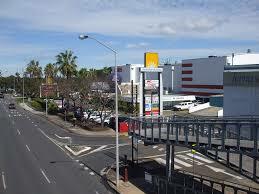 Our Sunnybank translation services are available in all languages. If you are looking for a reliable translator in Sunnybank who can provide you with a 100% NAATI certified translation of your documents – we can help! Our Sunnybank translation service is an online service (so there is no need to come into our office) – simply order your translation from the comfort of your own home, how great is that! You can use our NAATI certified Sunnybank translation service for all official purposes in Brisbane and Queensland including for visa applications, driver’s licence conversions and use in courts. We do recommend that you always check for individual authorities requirements for translations before ordering. How much does it cost to translate documents? There are a number of factors to consider with the cost of translation services. Our prices start at just $69 which is the lowest in Australia. For a free quote, simply complete the free quote form on this page. You will receive a quote via email within 15 minutes. The majority of documents that we translate can be completed within 2-3 business days when ordered under our Regular option. We also do provide an Urgent service if you need the translation to be completed quicker – simply ask us and we’d be happy to help. What is a NAATI certified translation and do I need it? A NAATI certified translation is a translation that has been undertaken by a translator who holds NAATI accreditation. NAATI is the national body responsible for providing accreditation to translators and interpreters in Australia. At Brisbane Translation, all of the translations that we produce are NAATI certified – 100%, always! We generally recommend our clients in Sunnybank to have their documents completed by a NAATI accredited translator because most authorities in Brisbane and Queensland require translations to be NAATI certified. So, when choosing Sunnybank translation services, consider the need to engage a NAATI accredited translator. What do I need to do to order my translation? The process of ordering translations from us is really simple. To get started, simply complete the web form on this page and upload scans or photos of your documents and we will get back to you within 15 minutes via email with a quote. When I arrived from Shanghai, I didn’t know who to ask about getting my licence translated. I am so happy I found your website – thanks for your great work.